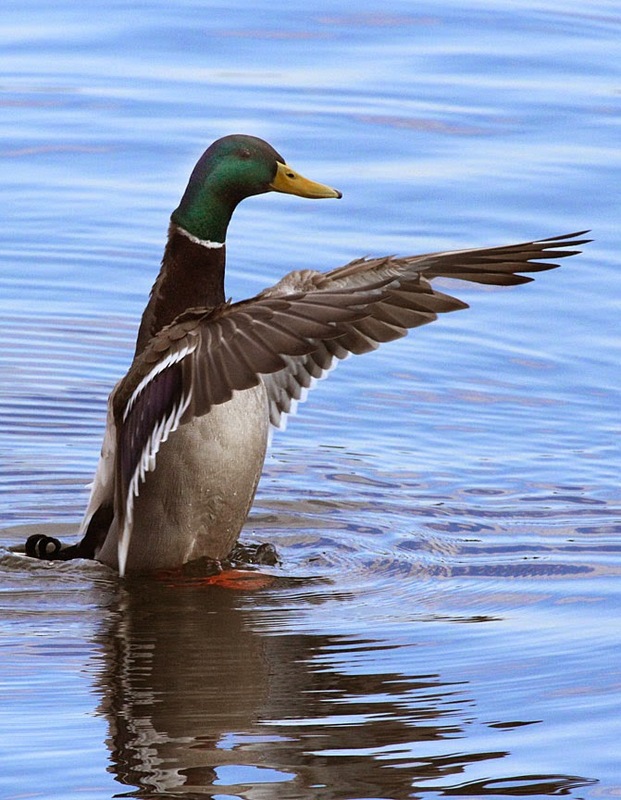 The almost tame mallards at Unity Park were the only birds close enough for some great shots. At Barton's Cove, where a greater variety of ducks had congregated, viewing was less than desirable. Interestingly, one source says the canvasback's name comes from the fact that the drake's sides, back, and belly are white with a fine pattern resembling the weave of canvas. 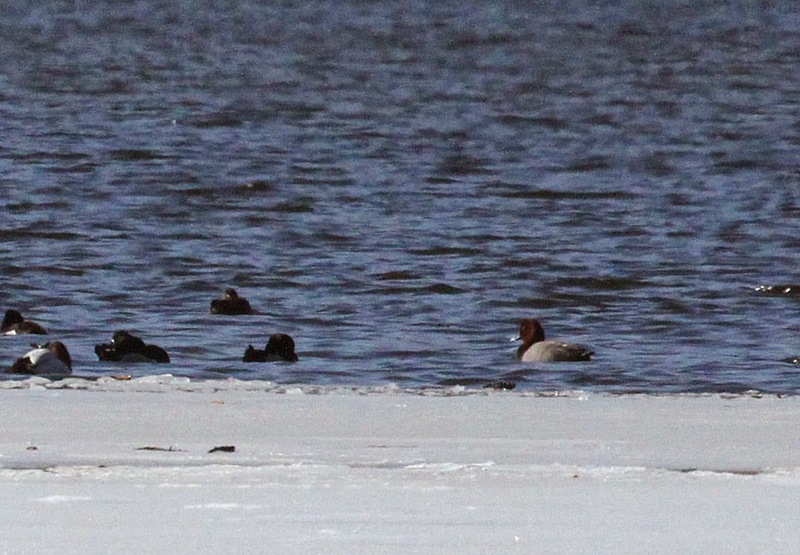 Even at a distance, the redhead and canvasback are easily distinguishable. 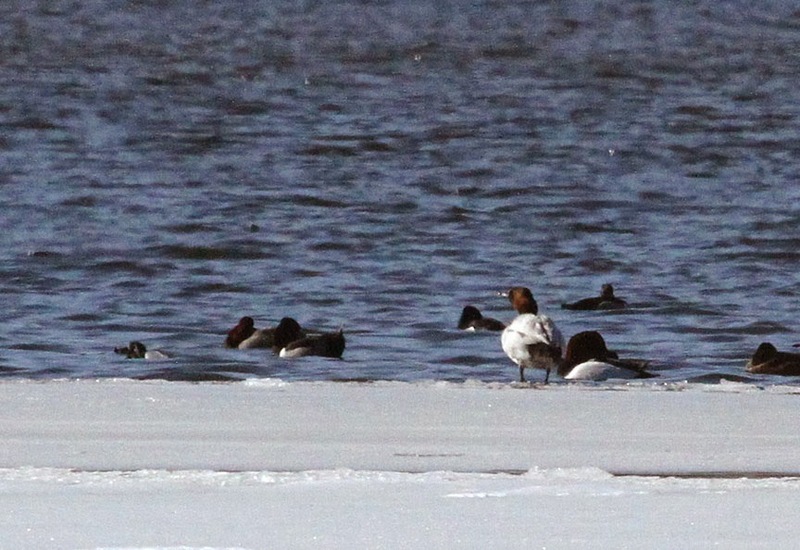 The canvasback has a very white back, while the redhead is grey. Their profiles are different also, the redhead has a very "duck-like" bill when compared to the canvasback's sloping forehead that gives him a wedge-shaped look. Nice pointers on separating the two similar ducks (I'm from the UK so our biggest issue would be separating one of either from the Pochard, but they are both a very rare bird over here.